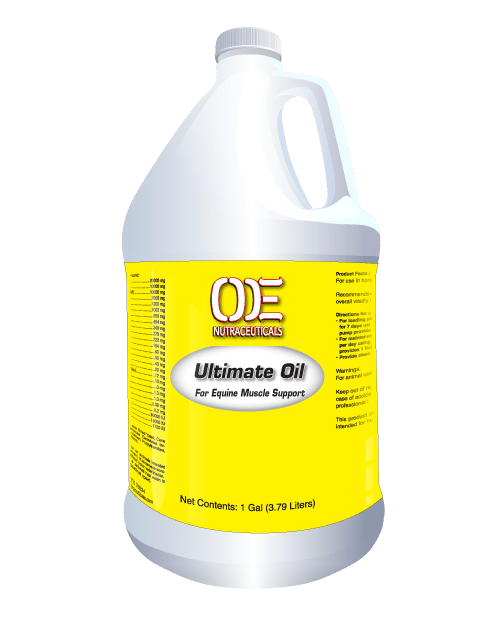 OE Ultimate Oil is a flax oil, soy free, and super antioxidant liquid formula that supports health muscle enzymes, quality skin and coat, along with a healthy weight. 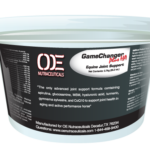 This product is excellent as a support system to help defend against tie up and to aid in the recovery of muscle development post EPM treatment. 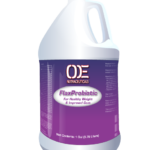 It contains astaxanthin, a superior antioxidant that has been studied lower in muscle enzymes in horses in race training. Astaxanthin is a powerful antioxidant with broad health implications and unlike other antioxidants, such as beta carotene, zeaxanthin, vitamin E, C, D and selenium, astaxanthin never becomes a pro-oxidant. A 2007 study analyzed several popular antioxidants and their antioxidant power. This study found astaxanthin was 6,000 times stronger than vitamin C, 800 times stronger than CoQ10, 550 times stronger than green tea catechins and 75 times stronger than alpha lipoic acid. 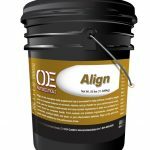 Most horses that have suffered from tie- up will benefit from the high-quality fat supplied by flax and virgin olive oil along with the powerful antioxidant properties supplied by astaxanthin. 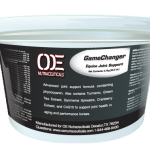 Horses that are post EPM treatment will benefit from the antioxidant support of Ultimate Oil to help aid the repair of nervous tissue and regaining a healthy weight.